This year our Creaking Door Prize will again be a fun part of the online "tour"! 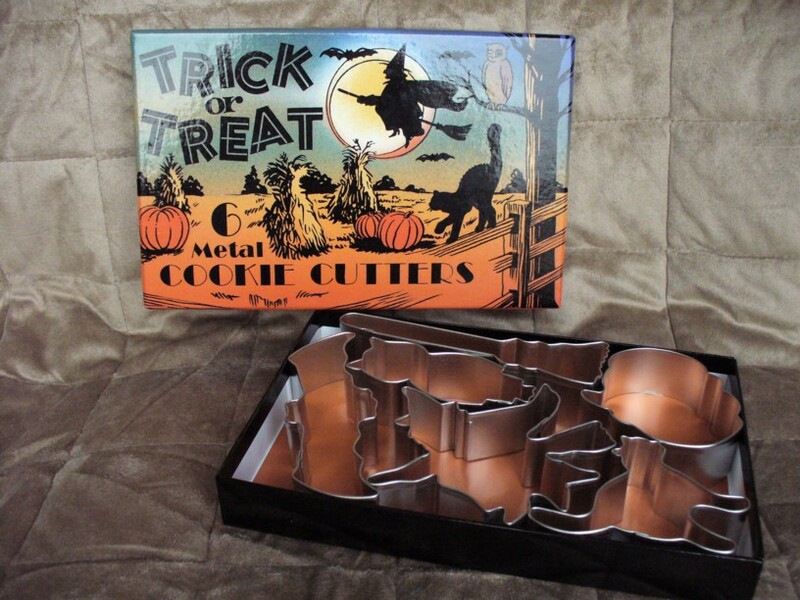 The prize will be this lovely boxed set of 6 Hallowe'en cookie cutters! 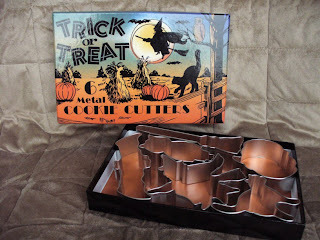 What better way is there to celebrate then with sharing treats, and these metal cutters come in such a pretty, old-fashioned box, too! Sweet prize for making sweet treats! Awesome.